Saturday the 17th of October was a big day in the history of Gothenburg Roller Derby, as the A-Team played and won the league’s first sanctioned WFTDA game in Barcelona. Being one player short due to an injury, the A-Team still managed to take control of the game right from the start, with strong defensive play and quick and powerful offensive strategies. Barcelona Roller Derby played wholeheartedly with lots of big hits, but it wasn’t enough to break the visitors’ solid walls. The A-Team jammers managed to take the big majority of the lead jammer statuses and stayed out of the penalty box, with the four jammers sharing only four penalties. Their clean play together with the blockers’ robust walls helped GBGRD A keep the lead throughout the whole game with a growing score difference. When the final whistle blew the score read 247-67 to Gothenburg’s advantage. The win being bigger than the Flattrack Stats had predicted, GBGRD A climbed on the European ranking from 76th to 62nd. Before Gothenburg Roller Derby can get a WFTDA ranking, the A-Team needs to play three WFTDA games. The next one will be against Oslo Roller Derby in the Norwegian capital city on the 7th of November. Before travelling to Oslo both GBGRD teams will play one home game each on the 31st of October, as Hulls Angels and Uppsala Roller Derby pay them a visit at Lundbystrands Sporthallar. 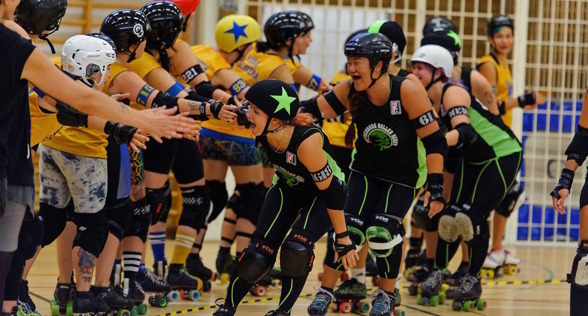 Last Saturday Gothenburg Roller Derbys B-team, The Badass Beavers, went to Ludwigsburg, Germany, to play their first international game ever against Barockcity Rollerderby. Barockcity Rollerderby took the lead the first jam putting up strong walls and a lot of offence for their jammers. Although the Badass Beavers were off to a rocky start they put up a good fight, getting stronger throughout the game. At halftime Barockcity Rollerderby were in the lead, the scores reading 136-74. For the second period Barockcity Rollerderby kept the pace up with a growing score difference. Both teams played hard and fair game with lots of heavy hits and strategic plays. The Badass Beavers were not able to match Barockcity Rollerderby this time, leaving the final score at 313-121 in favour of Barockcity Rollerderby. For the Badass Beavers this was a great experience that they’ll take with them into their uppcoming game against Uppsala Roller Derby – Jackdaw City Rollers for the The Bout Witch Project, October 31st. This will be a doubleheader and the first home game for the season not only for the Badass Beavers but also for the The A-Team who will go up against Hulls Angels Roller Dames. 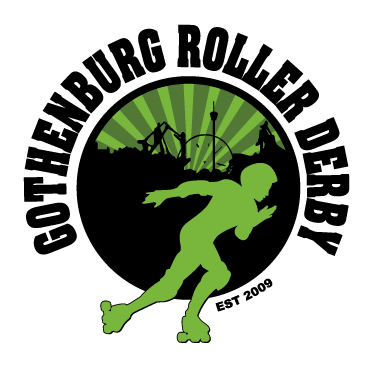 During the last weekend of September, the first games of the Elitserien (Premiere League) was played in Malmö, Sweden, where Crime City Rollers, Stockholm Roller Derby, Dock City Rollers and Gothenburg Roller Derby participated. Saturday saw GBGRD The A-Team play Dock City Rollers A, who got a power jam in the second jam and quickly took a big lead. The A-Team was unable to catch up and Dock City Rollers A increased their lead steadily. At halftime, DCR A had 110 points, while GBGRD The A-Team counted 42 points. For the second period, The A-Team came back on track with a higher energy level and stepped up their game, which still ended to DCR A:s advantage 202-101. On Sunday, The A-Team played Stockholm BSTRDs, a team GBGRD have not played since November 2012. 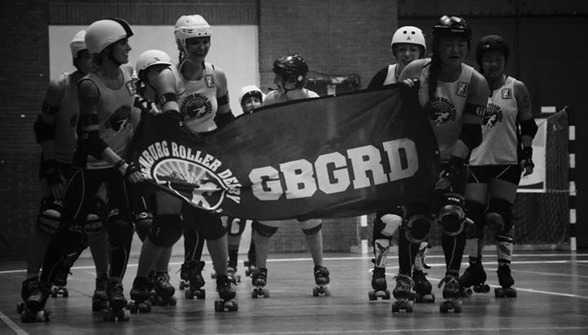 Back then, GBGRD won in the last jam by five points, but this time GBGRD took command from the start and kept their lead throughout the entire game. For this game the A-Team brought a higher level of energy and play from the start than on the Saturday, and it payed off. The game ended 239-137 to GBGRD:s advantage. The A-Team climbed four spots, from 80th to 76th on the European Flat Track Stats ranking during the weekend and the team members are reportedly very happy with their performance. Their next game will be in Barcelona on the 17th of October. That game will also be GBGRD:s first ever sanctioned WFTDA game. This coming weekend the Badass Beavers are going to Ludwigsburg in Germany to play Barock City Roller Derby for their first-ever away game. We wish both GBGRD teams good luck on their upcoming games. If you want to see results from all of GBGRD:s games throughout the history of the league, please click here.